Check it out on Amazon.com – it’s easy to find by searching; sider studio quilt. 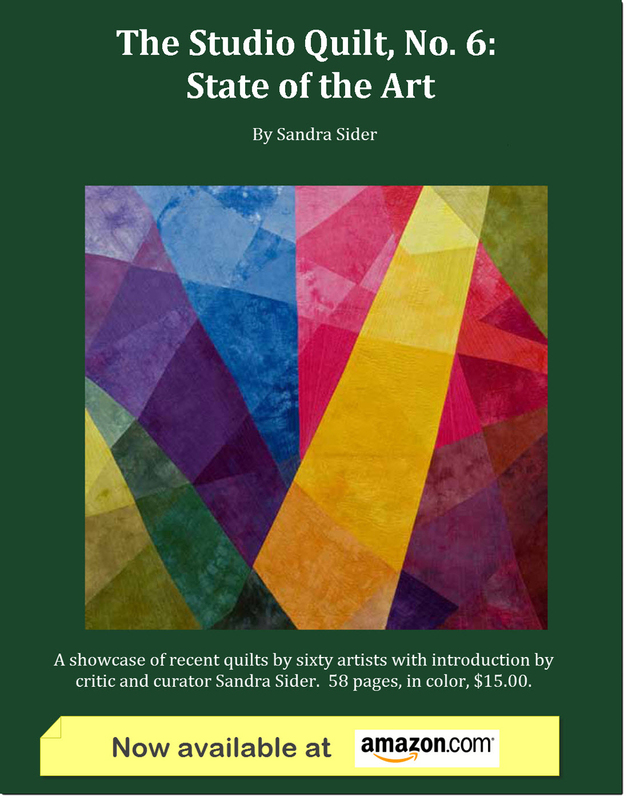 This latest full color publication by critic and curator, Sandra Sider showcases recent quilts by sixty artists. “Grey Hay” designed, hand-stitched, and completed by me in 2011 was selected for this 50 page publication – $15.00. This entry was posted in Abstract Impressionist, Art, Art Quilting, Fiber Art and tagged Art Quilts SAQA Auction, SAQA, Studio Quilts. Bookmark the permalink.